Approximately 12,500 spinal cord injuries occur in the United States each year, according to the National Spinal Cord Injury Database. The causes of these life-changing injuries, ranging in severity from temporary to life-threatening, are numerous. $47.7 million jury verdict against Ford Motor Company, when a defective seat back crushed a 6-year-old girl, who is now paralyzed from the chest down. $40 million jury verdict against Ford Motor Company for a defective gear shifter, which caused a Ford Explorer to shift out of park and roll over a woman, rendering her paraplegic. $18 million jury verdict against SouthCoast Medical Group, for delayed diagnosis and treatment of a woman’s spinal epidural abscess, which led to permanent paralysis. Our office welcomes attorney referrals, as well as direct client calls. If you or a family member has suffered a spinal cord injury, turn to our dedicated Atlanta spinal injury lawyers for knowledgeable and skilled representation. The spinal cord is one of the most complex areas of the body, controlling numerous functions. An injury to the spine can significantly impact the victim’s physical, mental and financial well-being. Incomplete spinal cord injuries. These injuries result when the cord is partially severed. The injured party is usually able to retain some level of function. Examples of an incomplete injury include anterior cord syndrome, where an individual may have difficulty with movement. With central cord syndrome, the victim may also lose control of motor skills and basic bodily functions. Complete spinal cord injuries. Complete injuries result when the spinal cord is fully severed. Though treatment may lessen the impact, most patients suffer complete loss of bodily functions and experience paralysis. Quadriplegia and paraplegia are examples of a complete spinal cord injuries, where the patient is unable to move limbs below the site of injury. The skillful Atlanta spinal injury attorneys at Harris Lowry Manton LLP are experienced in handling various spinal cord injury cases and understand the many complexities of this injury. Motor vehicle accidents. A collision between cars, trucks, motorcycles, pedestrians and/or cyclists can lead to life-altering injuries. Being thrown from, or hit by, a vehicle puts you at risk of a spinal cord injury. Falls. Falls are one of the leading causes of spinal cord injuries. Certain industries, such as construction or entertainment, may be at a greater risk, but a trip down a set of stairs, or a fall from any height, can be dangerous. Medical malpractice. An undiagnosed infection can lead to a spinal abscess, which can lead to paralysis if left untreated. 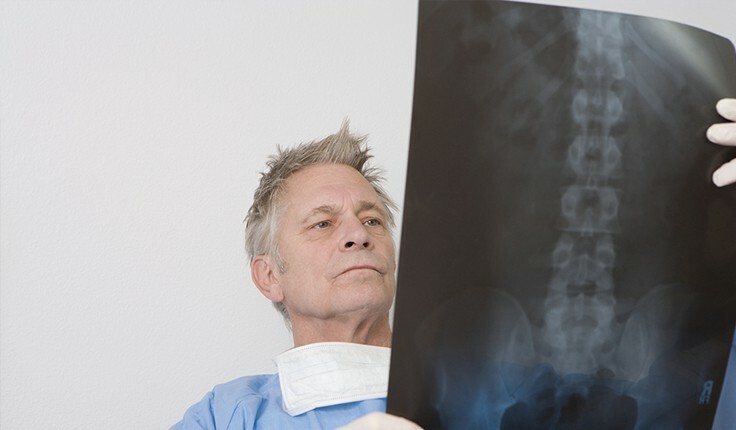 Surgical errors, medication errors and other delays in diagnosis and treatment may lead to a spinal cord injury. A misplaced epidural during labor and delivery can also pose a risk. Sports and recreation. Contact sports, such as football, wrestling and rugby, are dangerous even for highly trained players. One wrong move, or a bad hit, can leave a player paralyzed. Diving in shallow water. Diving into lakes or off the rocks along the coast can increase your risk of injury, but so can diving in a pool. Pool owners should make the risks very clear, and post signs around the pool that warn of the dangers. Another vital aspect of spinal cord injury treatment is support for the family. When victims suffer paralysis, family members take on the responsibility of providing necessary care. This can be a challenging situation, both emotionally and financially. Our accomplished Georgia spinal injury lawyers recognize the strain that a spinal cord injury places on the entire family. That’s why we diligently work to secure a level of compensation that accounts for these added challenges, which can require costly, long-term medical treatment. If you sustain a spinal cord injury that requires intensive rehabilitative care, you may end up at Shepherd Center in Atlanta, a not-for-profit hospital that specializes in spinal cord and brain injuries. U.S. News & World Report ranks Shepherd Center as the 9th best rehabilitation center in the country, out of 295 ranked facilities. If your child is injured, Children’s Healthcare of Atlanta offers programs designed specifically for children and teens. The knowledgeable Georgia spinal injury attorneys at Harris Lowry Manton LLP understand the consequences of a serious spinal cord injury. We’ve secured multimillion dollar verdicts and settlements on behalf of clients who have sustained serious spinal cord injuries. We are prepared to guide you through the legal process, working with you to secure appropriate compensation for your injuries. We appreciate attorney referrals and work hard to maintain our reputation for success within the legal community. Why not put our experience and knowledge to work in your spinal cord injury case? Call our Atlanta office at 404-998-8847 or our Savannah office at 912-417-3774 to schedule a free consultation. You can also complete our contact form online.